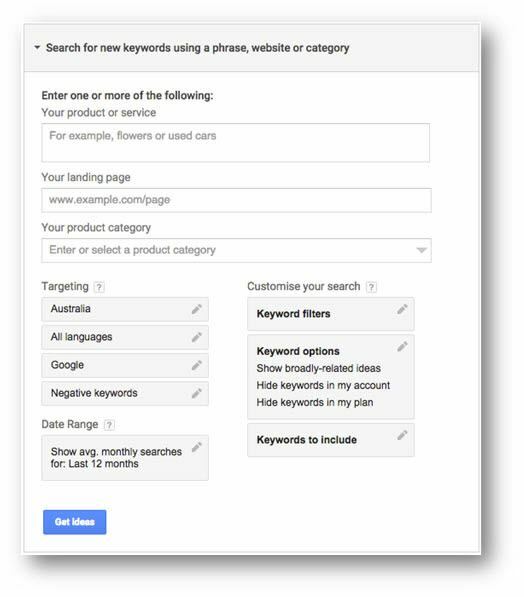 The keyword tool is one of many free tools that Google provide as part of the AdWords suite. It has multiple applications for both SEO and SEM, with multiple uses for each. 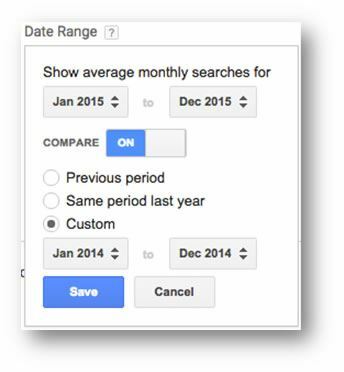 Primarily we use this tool to identify keywords for one purpose or another and Google provide several ways to do this. 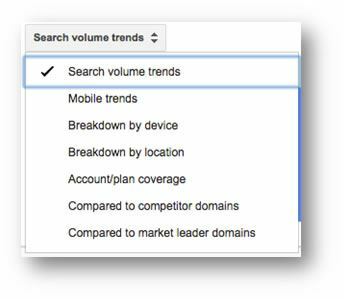 We analyse each of the above options provided by Google in the following chapters of this guide. There are a few metrics that come up in this tool, which we have described briefly below to assist in understanding the content of this guide. 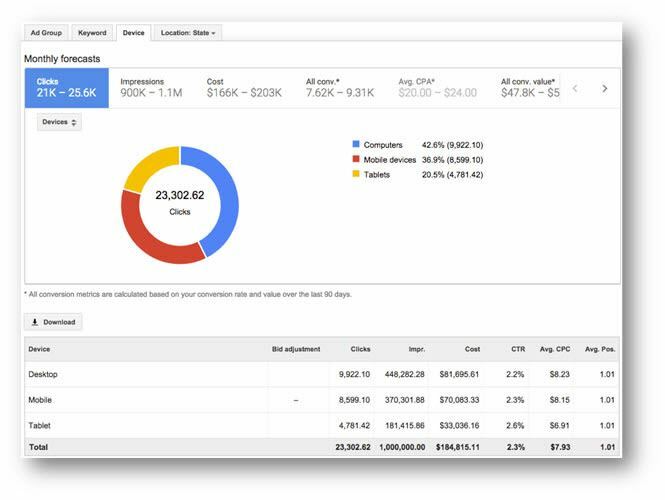 See our guide to AdWords metrics for more detailed information on this topic. 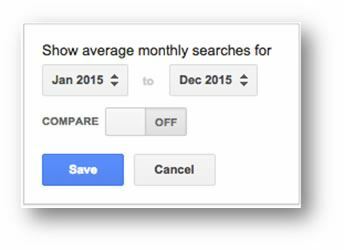 This is the average number of searches performed each month for a keyword or set of keywords. Some months may be higher or lower, but this represents the yearly total divided by 12. This is based on the previous 12 months of data and is affected by the criteria you have selected but refers only to the search network (and search partners if selected). This is one of the most useless metrics ever created! 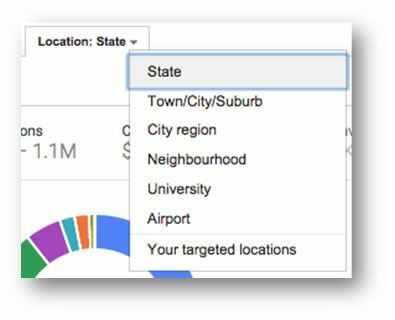 Google will suggest bids to you “based on the CPC’s that advertisers are paying for this keyword for the location and Search Network settings that you've selected”. That said, you should never use this to set your actual bids! The amount of impressions that you have received divided by the total number of searches (for the location and network that you’re targeting) that matched the keyword exactly in the last calendar month. The share of organic (non-paid) impressions you received as a percentage of all available (organic) impressions (considering the location and targeting options selected). 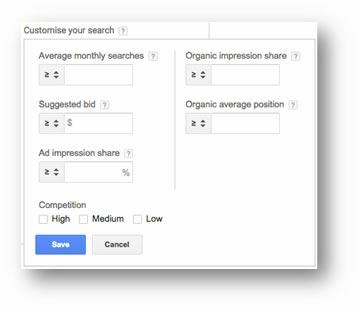 The average position that your website appears in organically for a given keyword (considering the location and targeting options selected). It is possible to use a combination of the following options but typically using the “your product or service” field is the most commonly used. Here you can enter the URL of a landing page and Google will analyse the page to try and identify potential target keywords. This will work better the more well optimised your landing page is, poorly optimised landing pages or pages built in such a way that Google cannot read them (e.g. Flash pages) will not deliver very relevant results. Here you can search for and add geographical regions (countries, states, cities, etc) from this section. Google provide thousands of specified regions to choose from but this doesn’t cover every backwater two house town in the world! There are also some regions, which are bundled into the wider area, so you may be able to target the city but not specific areas of it with this tool. This selection will show statistics for those regions you have selected. 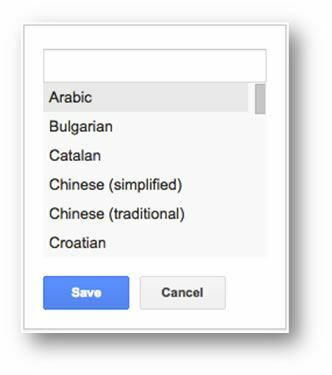 Here you can choose what languages you would like to see statistical data for, from the drop down menu. 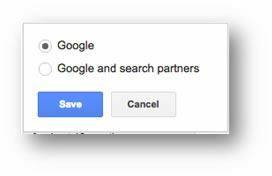 From here you can choose either just ‘Google’ or ‘Google and search partners’. 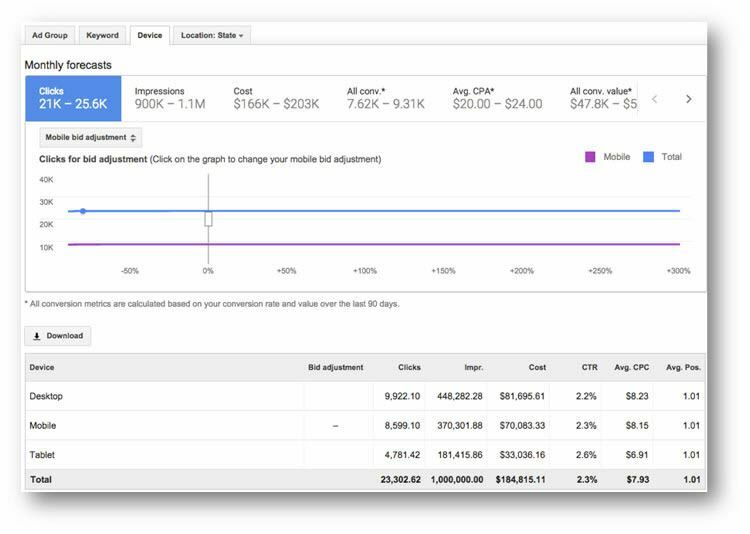 This will affect the data on the results pages. 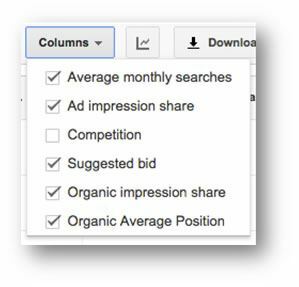 Typically, you can base this on campaign type, if you are looking to add keywords to a campaign that uses search partners, it is relevant to include them for example. 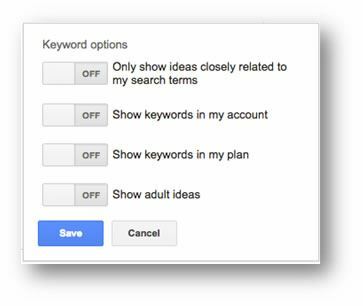 Adding some negative keywords in here will prevent them, and terms containing them, from showing in the results once you click ‘get ideas’. This can be useful if certain irrelevant phrases are likely to appear in the results. These options are shown in the screenshot below, using any of these may limit the final results, its often just as easy to collate all of the available results then filter them in a spreadsheet. This way you get more data and are less likely to miss something that falls outside of the criteria specified. There are four options you can toggle on or off; all of them are ‘off’ by default. The options are as follows and help to restrict terms or allow more terms to be shown. Here you can add specific terms that you want to see included in the results, here you can use matching options to determine how these words will be included. For example, using quotation marks around a word will mean that any phrase including that word will be included. 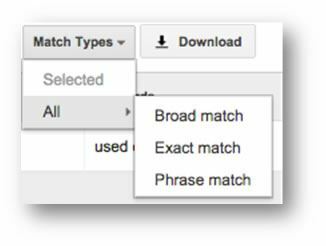 For more information about keyword match types, please follow the link. When you do, you will see a page like the following (with the ad group tab selected by default. The area highlighted in red below shows the section of the page that is changed by having the ad group ideas tab selected, all other areas of this window stay the same regardless of the selected tab. 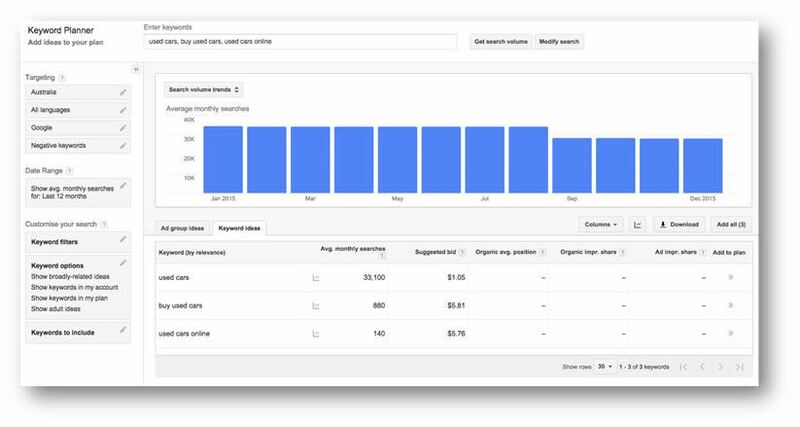 When you look at the ‘keyword ideas’ tab, which is more commonly used for keyword and negative keyword research, you will see a different set of data. 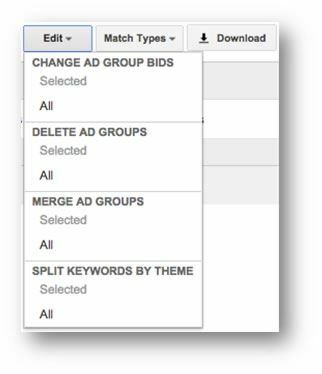 Rather than seeing ad groups constructed of similar keywords you will see a list of all keywords (one per row), which we have highlighted in red below. 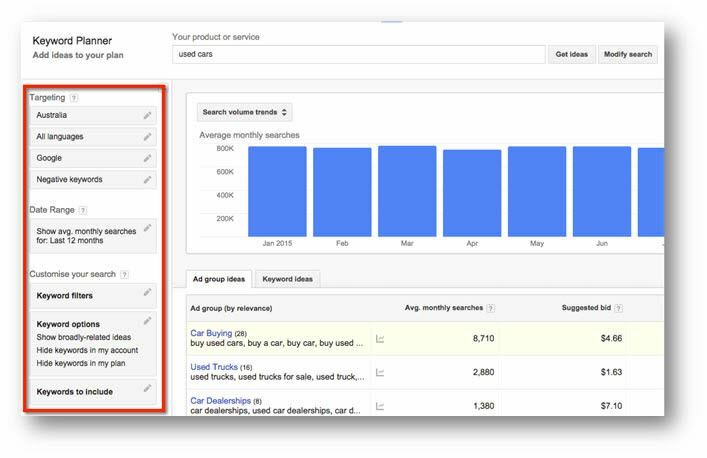 This feature is used to get data for keywords rather than to find new keywords, so the only results shown, when using this feature, are for the terms that you entered. If you have all of your keywords in a file, you can import this by clicking ‘Option 2: Upload File’ and navigate to where the file is saved. Otherwise you can simply copy and paste or manually enter terms into ‘Option 1: Enter keywords’. All of the targeting options here have been explained in the previous section of this guide, please refers to that for more information on those options. This is less relevant on this feature as typically this feature is used for data gathering rather account construction. Often the terms being searched are either in an account or being used for something other than SEM. All features previously described are still relevant here; the only difference is that new keywords or keyword ideas are not included. 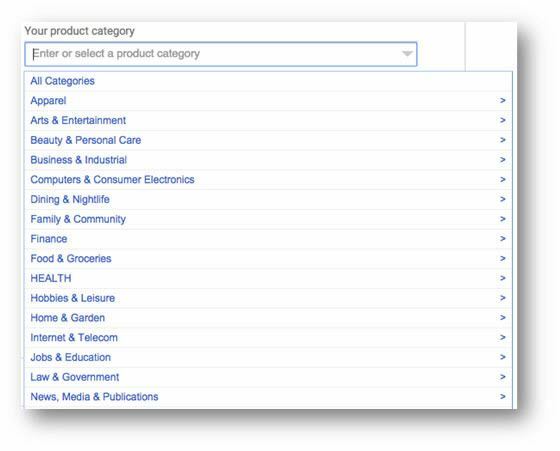 You will only see data for keywords that you have entered through whatever means. 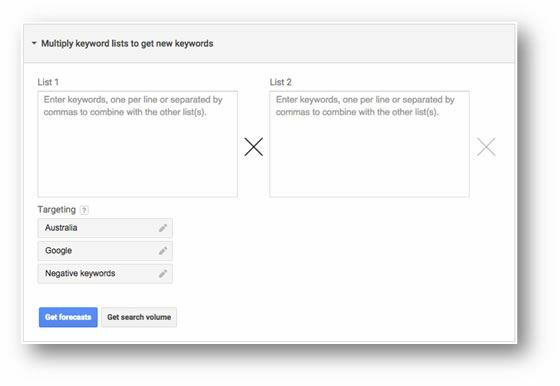 This is typically capped at around 800 keywords, if you want to pull out data for more than this, you will have to repeat this process in groups of 800 keywords. 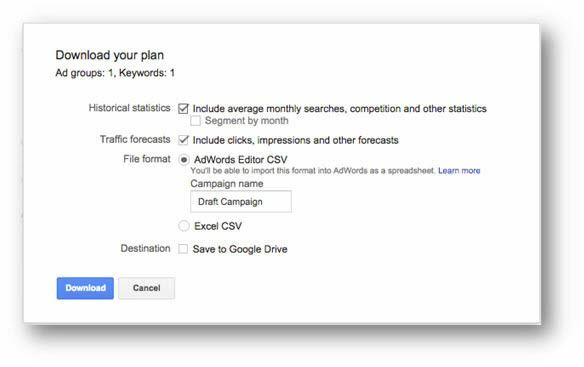 This will take you to the keyword planner. 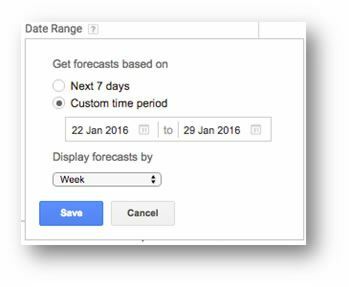 This feature allows you to get forecasts for your AdWords account; the options for this are similar to all previous feature options. 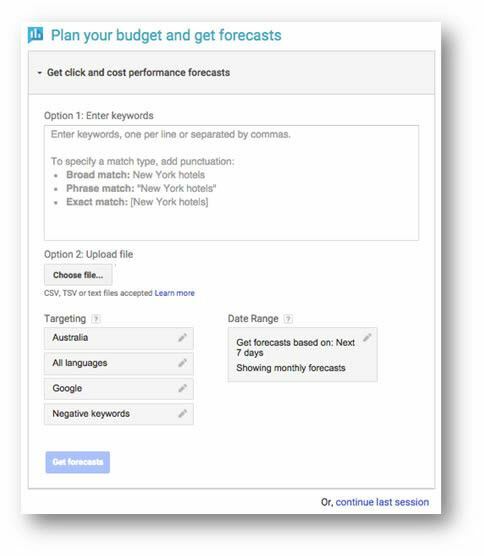 We cover what happens when you click “get forecasts” in the next chapter as this leads to the keyword planner. 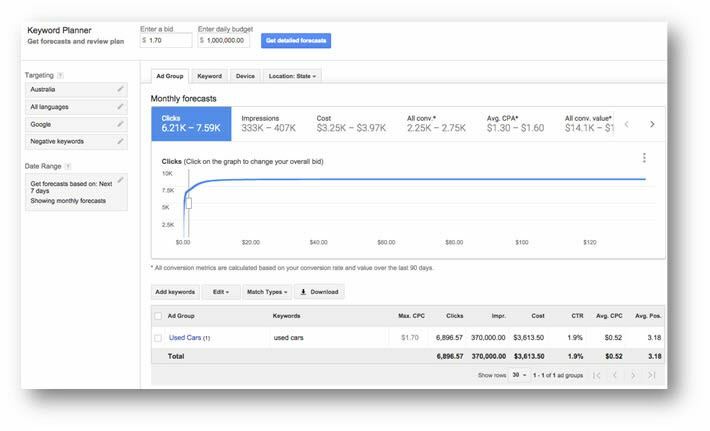 The keyword tool is primarily a forecasting tool designed for advertiser looking to get forecast data or to plan for account expansion in some way (adding keyword, changing CPC’s, etc). 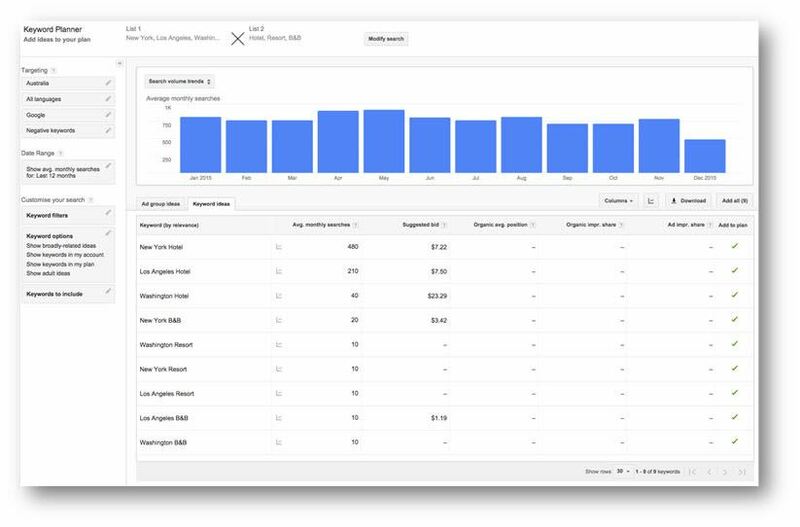 Therefore the results shown here are based at least in part on historic account performance, so if you are chucking keywords into this, which have no relevance to existing account keywords, the results may not be as accurate as they could be. 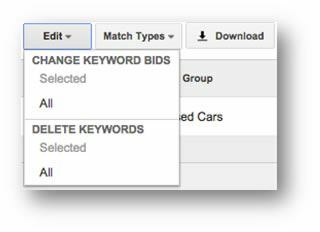 Also bear in mind that you can enter the same keywords into the keyword planner of two different accounts and you will often notice a variance between the data. Note: We would also add that the data Google provide here is to be taken with a generous pinch of salt, for those not familiar with that idiom; Don’t believe everything you see! Like most data Google provide, there is a degree of inaccuracy inherent in it, they cannot predict everything and they don’t want you to know everything. Typically, when forecasting, we use low, medium and high case scenarios to allow for this deviation from reality. The slider bar highlighted in red below can be clicked and dragged left or right along the horizontal axis that represents CPC, with the CPC value increasing as the slider moves to the right. 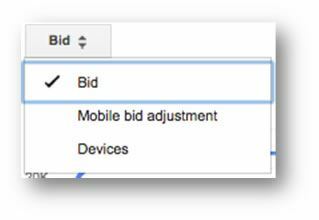 You can also set the CPC bid to a specific value by entering the desired value in the field titled ‘enter a bid’. 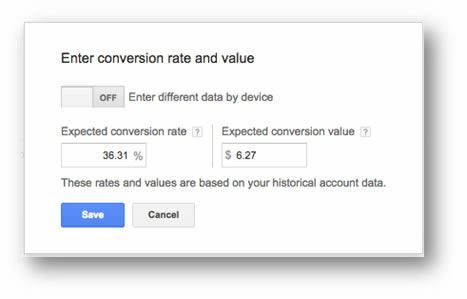 Either moving the slider or setting a new CPC bid will force a refresh of the data shown on the screen because what you are prepared to pay for a click will determine how many Clicks you receive. The graph has two axes, the X (horizontal axis) represents a scale of CPC; the Y axis (vertical axis) changes depending on what tab has been chosen and will hence represent a metric. 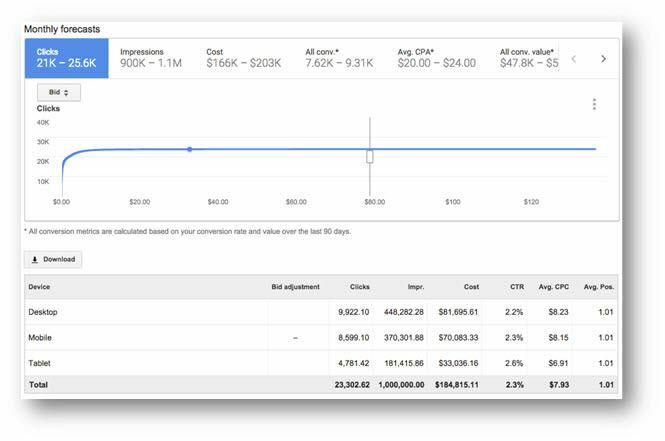 Clicking on a different metric will show you a new chart with a different data distribution relevant to he selected metric; this will provide you with an idea of how changing the CPC bid will affect the selected metric. 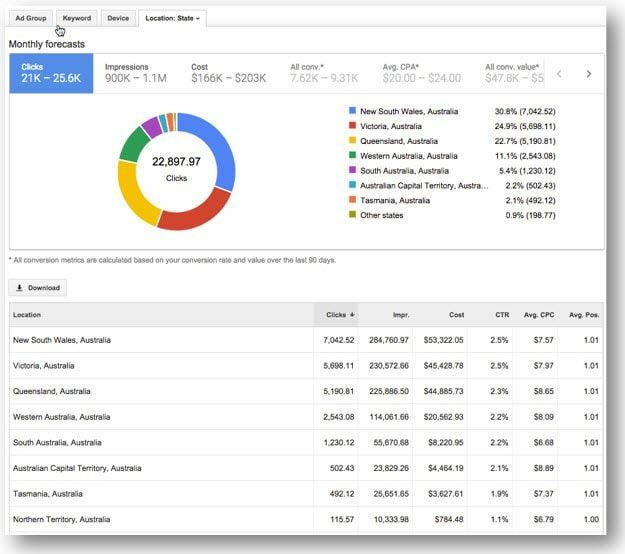 The Clicks, Impressions and Cost metrics will be affected strongly by the budget, if you have a budget set to $1 Billion in order to see how many clicks or Impressions are out there, this will create an unrealistic cost. You can define the CPC bid for the forecast in this field. You can also use the slider, which we describe above. 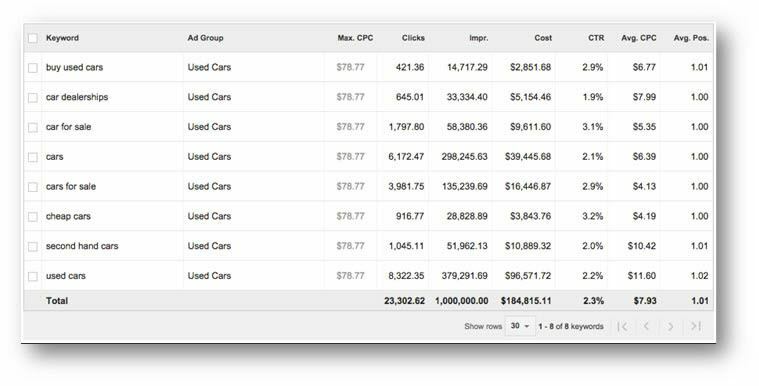 Enter an essentially unlimited budget to see how much search volume or clicks are out there if unlimited by budget. It very much depends on what you are using the planner for and what you want out of it. 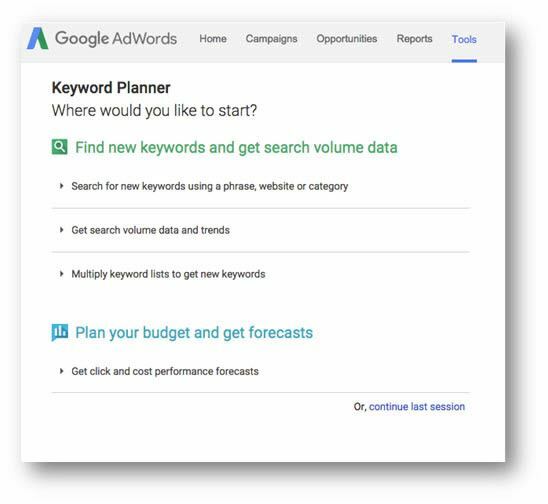 Again, your aim, goal or purpose for using the tool will determine what you select here if you have not previously defined what the match type of the keywords are. 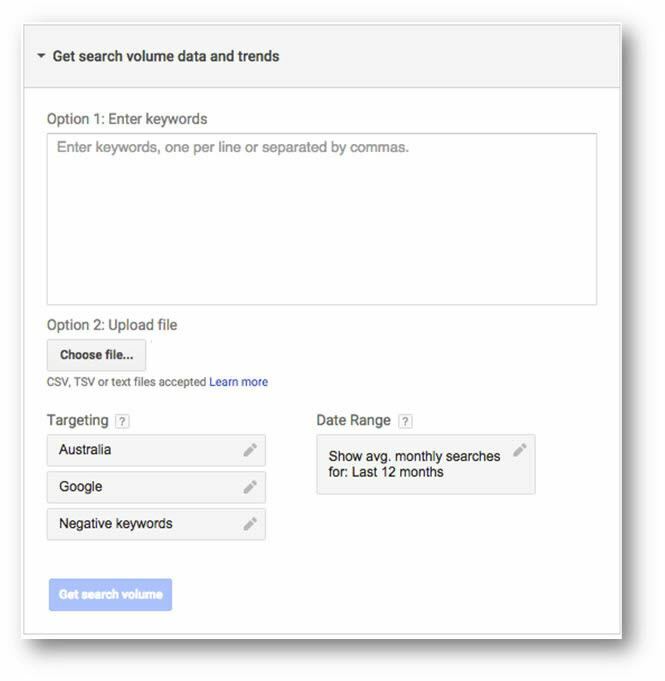 If you are using the tool to get some more accurate data for SEO, you may have a formula to represent the ratio of exact to broad match keyword data… If you are getting forecast data for a new set of ad groups, you will need each keyword to reflect the actual match type you intend to target. We discuss each of these below in more detail.